Learning a new language is not easy and the beginning is often a challenge. 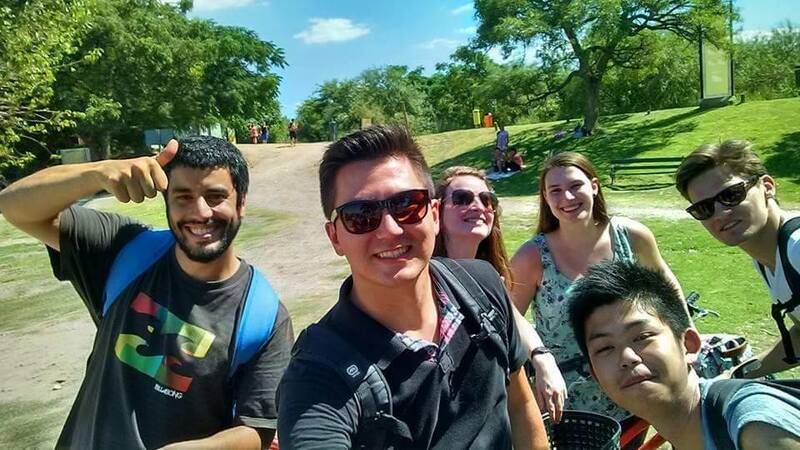 To help you start, we have set up a small list with easy ways to improve your Spanish skills, besides your Spanish classes at Elebaires of course, while staying in the beautiful capital of Argentina: Buenos Aires. Argentines are known for their kindness and you will see that making new friends will not be a problem. Having local friends will not only help you to improve your Spanish skills, you will also get to know all the ins and outs of Buenos Aires. They obviously know more about the city than you do which make them the perfect tour guide! 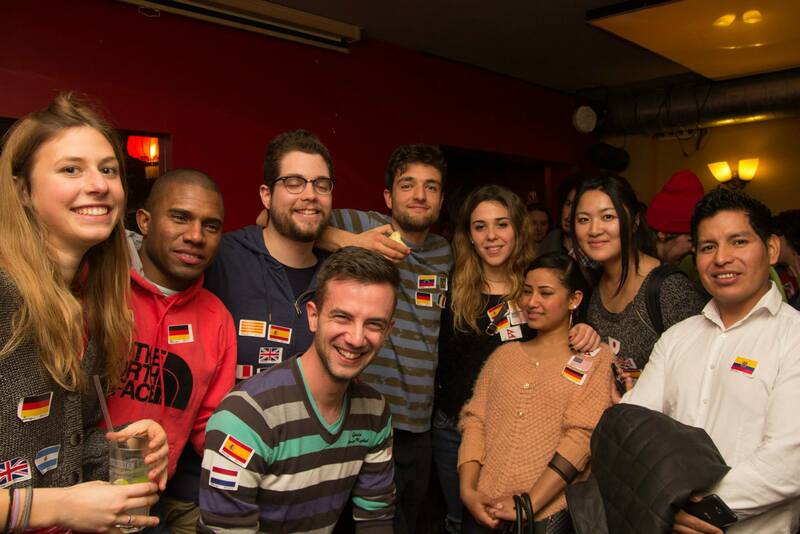 Join a Mundo Lingo night where you can practice Spanish and teach others your own language. 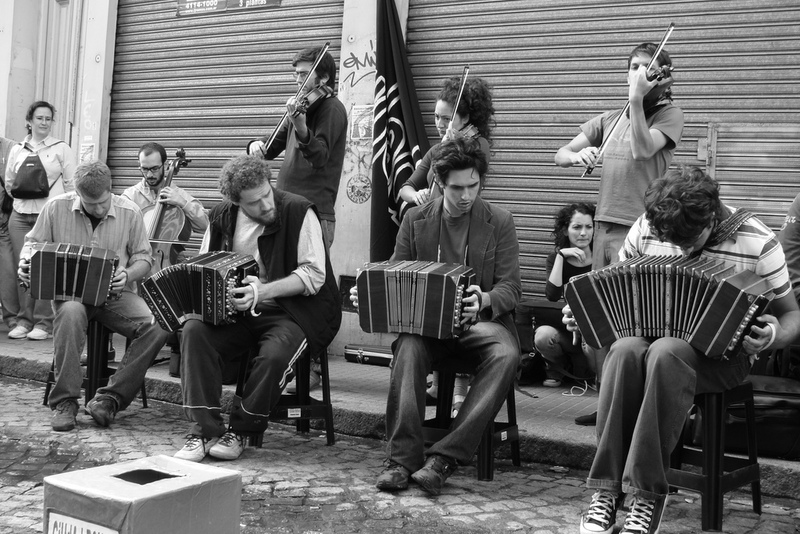 This event is held every Tuesday, Wednesday and Friday at different locations in Buenos Aires. It is the perfect place to meet new people from all over the world while learning and having a great time! While learning Spanish, you will probably hear many words that are not within your vocabulary. 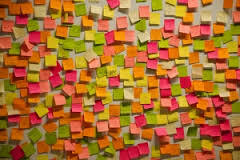 The best way to not forget these words it to write them down on a post-it note and stick them on your wall or on the subjects themselves. You will be reminded of these words everyday which makes it much easier to remember them. Spanish is a beautiful language and there is a great variety of Spanish songs. Try to listen more carefully or look up the lyrics. After a while you will be able to sing along with all of your favourite Spanish music! 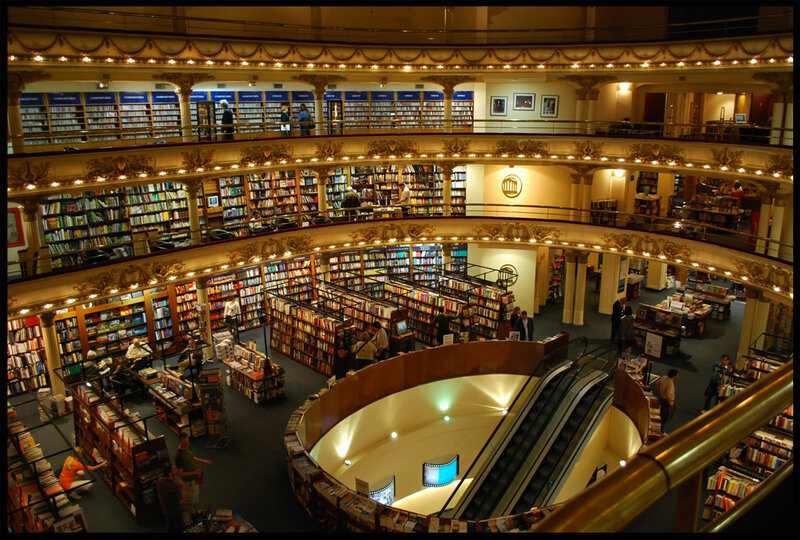 One of the best ways to broaden your Spanish vocabulary is to read a book. Reading helps you getting to know the structures and the connecting words which are very important. As a beginner you can start by attempting some easy children´s books. Or buy a book that you´ve already seen the movie of. 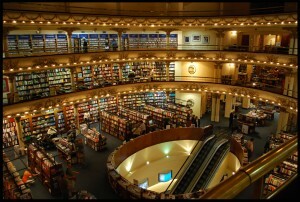 A good place to get books or just to read in Buenos Aires is El Ateneo. This old theatre has been transformed into an amazing library!